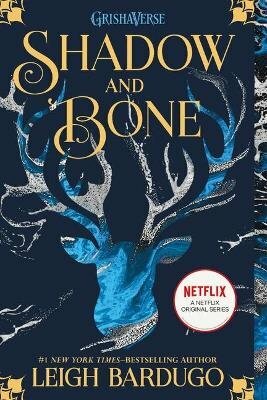 "Shadow and Bone "is the first installment in Leigh Bardugo's Grisha Trilogy. The change of title from the original:"The gathering dark" to the current title, in my opinion, has been a terrible one. The original cover art also far more enticing, than the new cover art. The story, however, is captivating & delightful. I have to say; had I not been snared by the original title (& cover art), I doubt I would ever have read the "Grisha" trilogy - simply because the current title (& cover art) would never have have enticed me to even pick it up.